What Is the Difference Between BOTOX Injections and Dermal Fillers? 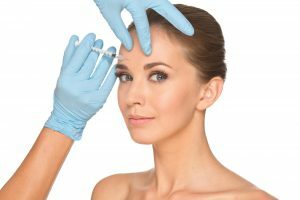 BOTOX® Cosmetic and Dermal Fillers: What Are the Differences? The abundant selection of non-surgical treatment options currently available can easily seem overwhelming. Cosmetic injectables alone come in dozens of formulas, so how are you supposed to know what’s right for your aesthetic goals? Our extensively trained facial plastic surgeon, Dr. Eugenie Brunner, believes the wide selection is primarily to your benefit, as it allows skilled physicians like her to customize your treatment to best suit you. To help you become a well-informed participant in your facial rejuvenation, we have provided a few quick tips on how to differentiate some of the most common injectables. BOTOX® Cosmetic: One of the most popular cosmetic injectables in the nation, BOTOX® Cosmetic is a neuromodulator designed to halt muscle movement in the treated area. Certain facial muscles can contribute to wrinkle formation, and these tissues are targeted to help soften the appearance of creases. BOTOX® Cosmetic (and its contemporaries, like Dysport® and Xeomin®) can take a week or two for results to appear, and the effects typically last about three to six months. Additional “touch-up” sessions can extend the length of the results. Dermal Fillers: Distinct from neuromodulators like BOTOX® Cosmetic, dermal fillers “fill” the skin to add volume, smooth fine lines and folds, and stimulate collagen production. Examples of dermal fillers include JUVÉDERM®, Restylane®, Radiesse®, Belotero Balance®, Sculptra® Aesthetic, and many more. In most cases, the effects are instantly noticeable, and the outcome can last anywhere from about six months to two years or more, depending on the formula and your unique experience. BOTOX® Cosmetic and dermal fillers can be used independently or in combination to achieve more comprehensive results. Dr. Brunner will listen to your concerns and recommend the best course of action based on your needs and goals. Talk to us today to learn more.